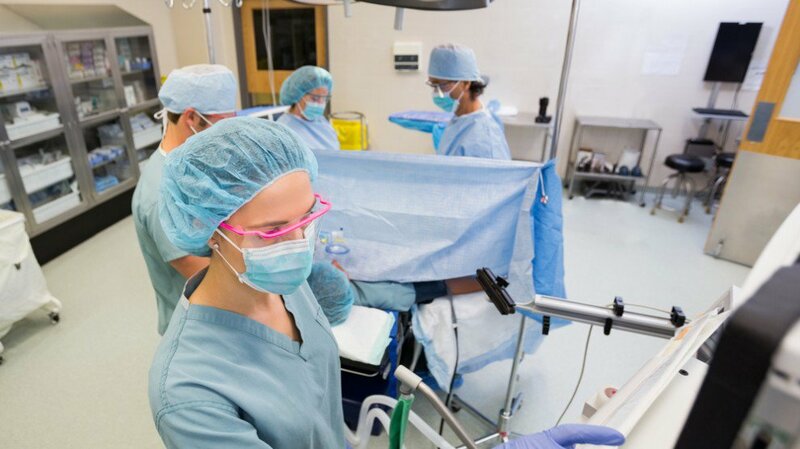 Concordia Anesthesiology, Inc. is built on the understanding that the mastery of safe surgical practices, efficient OR operation, clinical excellence, and the compliance and administration of industry regulations is paramount in achieving satisfaction for patients, administrators and surgeons alike. Concordia Anesthesiology is committed to providing safe, comprehensive, and cost-effective anesthesia service to our patients, clients, and partners. We accomplish this with an anesthesia care team model that is dedicated to optimizing patient outcomes, safety, and satisfaction. We utilize leading edge technologies to capture metrics and quality data, which helps guide decision making and optimize efficiency. Our team is composed of multiple fellowship- and specialty-trained providers who bring value to every client. We employ a compensation model geared to motivate our providers to provide efficient, quality-driven care. Concordia provides high quality anesthesia services to a broad range of practice settings that include urban and suburban hospitals, community hospitals, surgery centers, chronic and interventional pain centers, and physician offices. We recognize that every hospital, surgery center, and physicians office is unique, which is why we offer our partners customized service. We propose not simple anesthesia coverage/staffing model, but rather a comprehensive Perioperative Management model that brings other cost saving initiatives to your facility. We use technology to track and improve the quality of our care, patient outcomes, and to align the incentives of our anesthesia providers with our ASC and hospital customers’ goals. By recruiting the most qualified anesthesiologists and certified registered nurse anesthetists (CRNAs) – supported by our experienced leadership, extensive resources, and wide range of programs – Concordia is able to offer a cost-competitive partnership that does not jeopardize the quality care you require for your patients. We provide our client partners with superior anesthesia management services and have extensive experience assisting healthcare facilities with assessing and implementing programs that create an environment of ongoing quality improvement, patient safety, leadership and cost efficiencies. Concordia provides leadership and support on-site where it is needed most. Our on-site Anesthesia Director (AD) and anesthesia care team approach maximizes efficiency while providing high-quality services for patients and clients. The AD provides clinical and administrative leadership and serves as the primary liaison between the hospital administration, the medical staff and sets professional and performance metrics for the anesthesia department. Dr. Jarrod D. Huey started his professional career as a clinical anesthesiologist and healthcare leader after completing clinical training in the Dept. of Anesthesiology at Emory University in Atlanta, GA. His early medical education, including didactic and clinical education, was completed at the University of Mississippi School of Medicine, and the Dept. of Internal Medicine at University of Mississippi, respectively. Prior to medical school, Dr. Huey Earned his undergraduate degree at historic Morehouse College in Atlanta, Georgia, where he established a foundation for professionalism and leadership. Soon after accepting his first clinical staff position at a suburban Atlanta hospital, Dr. Huey founded Concordia Anesthesiology, Inc. with the intention of building a new type of anesthesia practice management company: a company that would always include physicians within the leadership and ownership structure. While still working full-time as an anesthesiologist at his first job, he secured a separate anesthesia management contract at another Metro Atlanta hospital. A group of independent contractor anesthesiologists were rallied together and took responsibility for turning around a failing surgical department. Dr. Huey lead this department with great success until the hospital closed due to challenging urban payer demographics and rising costs of operations. Concordia Anesthesiology was then reconstituted with a renewed focus on developing and promoting physician leaders. Additionally, he established that a never-ending push to improve quality outcomes and the maximization of operating efficiencies at hospitals would be the key attributes that set Concordia apart from all other anesthesia practice management companies. Dr. Huey has continued to build a business enterprise with partners who share his ideals and philosophy. Dr. Reeves is a Board Certified Anesthesiologist and the Co‐Founder and Chief Financial Officer for Concordia Anesthesiology, an Atlanta based anesthesia practice Management Company. Prior to starting Concordia Anesthesiology, he served as a Medical Director at a national anesthesiology practice management company and Chief of Anesthesiology at Spalding Regional Medical Center. It was through this relationship that he met his business partner, Dr. Jarrod Huey. Together they sought to develop a shared vision of an anesthesia practice management model that, at its core, is built around physician leadership and proven‐quality patient care. He completed his anesthesiology training at The Johns Hopkins Hospital in Baltimore where her received Resident of the Year honors during his first year of training. He attended the University of Illinois School of Medicine and School of Business & Commerce where he was a member of the Medical Scholars Program. He received the Raymond Zbyck Award for excellence in anesthesiology. Dr. Reeves’ is a physician executive MBA with extensive experience in quality metrics and healthcare informatics. He co-authored a chapter, Automated Charge Capture in the Springer publication, Anesthesia Informatics. While working with Dr. Huey, Dr. Reeves helped to develop and establish practice protocols and the anesthesia policy and procedures manual for both ApolloMD Anesthesia and Concordia Anesthesiology. His background and education in informatics was key to the development of evidence‐based practices that guide the efficient O.R. management, clinical practice of our providers, and business management today. © 2016 Concordia Anesthesiology, Inc. All rights reserved.